Monarch has partnered with numerous organizations to provide unique opportunities for our students and the autism community. In 2017, Monarch Center for Autism’s Welcoming Spaces Program developed a partnership with The Children’s Museum of Cleveland to develop customized visual, social, communicative, sensory, and behavioral supports. These supports are located throughout the museum – from the ticket desk toolkits and call-ahead accommodations, to the sensory friendly room, social narratives, visual schedules, visual/sensory maps, video models, and more. The supports are intended to prepare visitors with autism and other special needs before, during and after their visits, so they leave feeling happy, successful, and eager to return. 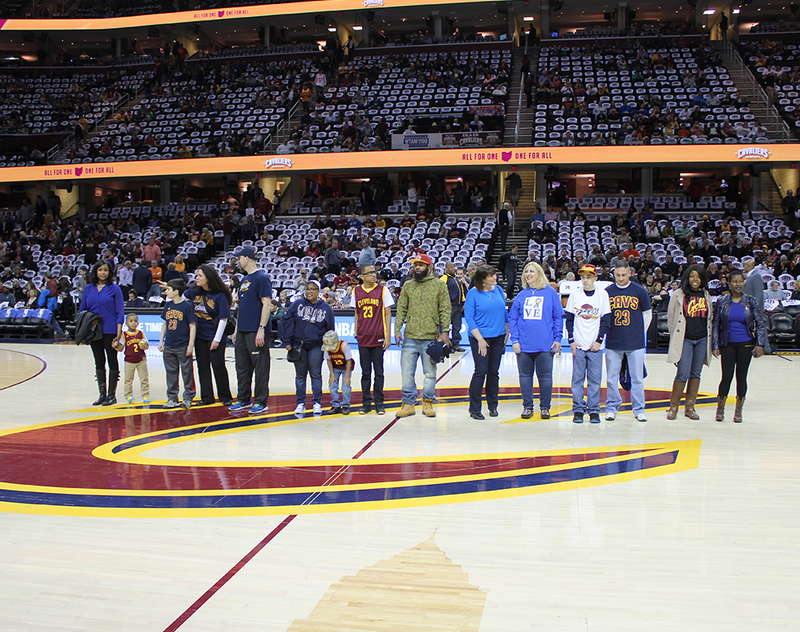 Since 2014, Monarch Center for Autism’s students, families and staff have participated in numerous programs at Quicken Loans Arena including Autism Awareness games with the CAVS, center court recognition ceremonies, and a CAVS national championship celebratory letter campaign. Most recently, Monarch’s High School students were afforded the opportunity to take backstage tours of Quicken Loans Arena. They visited the main office, private lounges, a weight room, non-player locker rooms, the penthouse suite, the VIP club, and the basketball court, where they took pictures. The tours were incredibly exciting for all involved! 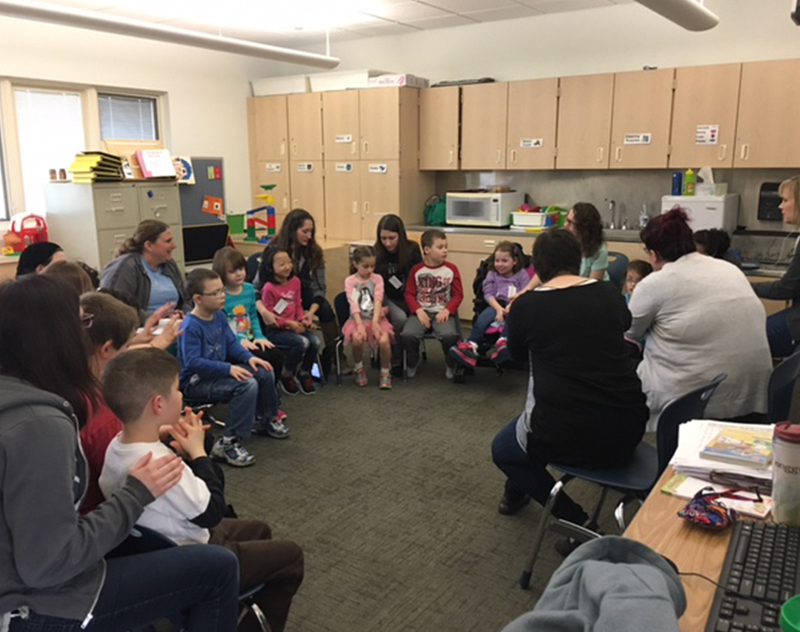 Since 2015, Monarch Center for Autism has been a member of the consortium that sponsors edWeb’s Teaching Students with Autism community, a free professional learning community (PLC) where educators can share information to help support the needs of students with autism. 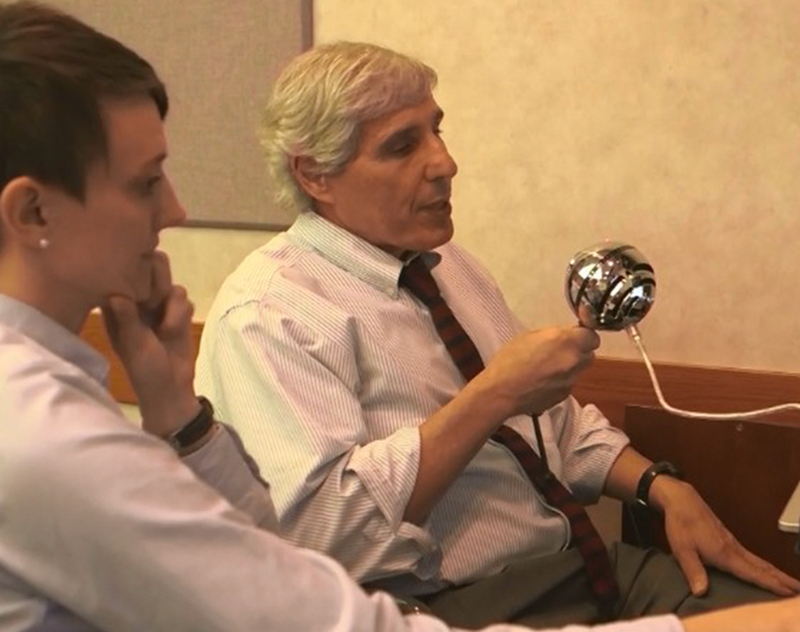 This community provides a forum where educators can participate in conversations on best practices and technologies, hear from experts, and learn about the latest research on autism spectrum disorder (ASD). The community hosts free webinars that offer CE certificates for educators, live chats, online discussions, and a resource library. For more information and to register, please visit https://www.edweb.net/autism. Since 2010, Monarch Center for Autism has offered free lectures to members of the autism community on a variety of topics including Behavior, Visual Supports, Technology, Mental Health, Transition Services, and more. 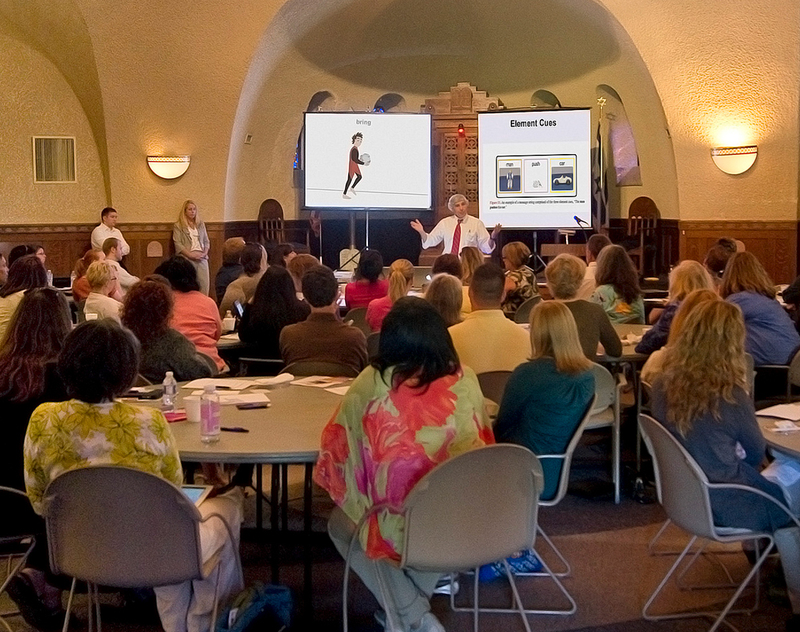 Since 2015, we have partnered with North Eastern Ohio Education Association (NEOEA) to host annual conferences on NEOEA Day for educators who are members of local OEA and NEA associations throughout northeastern Ohio. 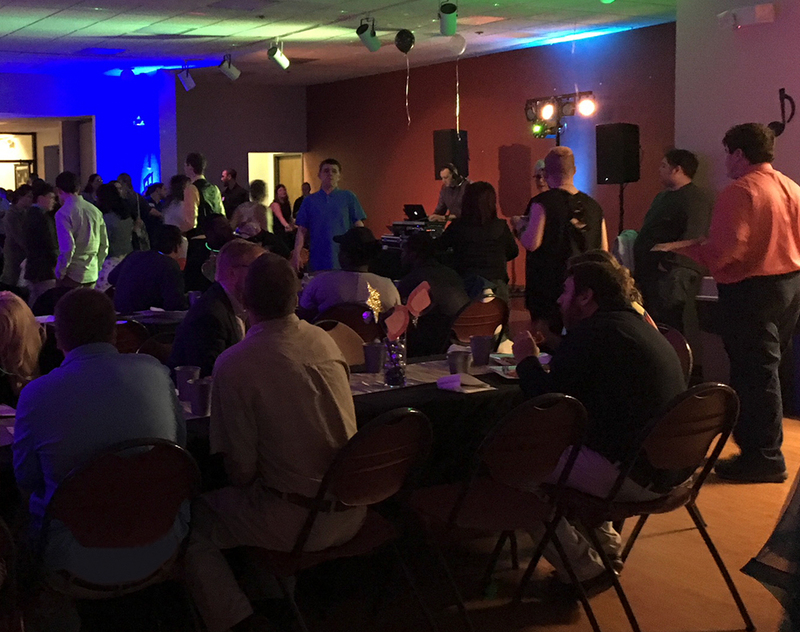 Since 2013, Monarch School has hosted an annual “Spring Fling” dance for Monarch students ages 13 and older and Monarch Alumni. This is a unique and incredibly exciting opportunity for the students, alumni, families and staff who participate. 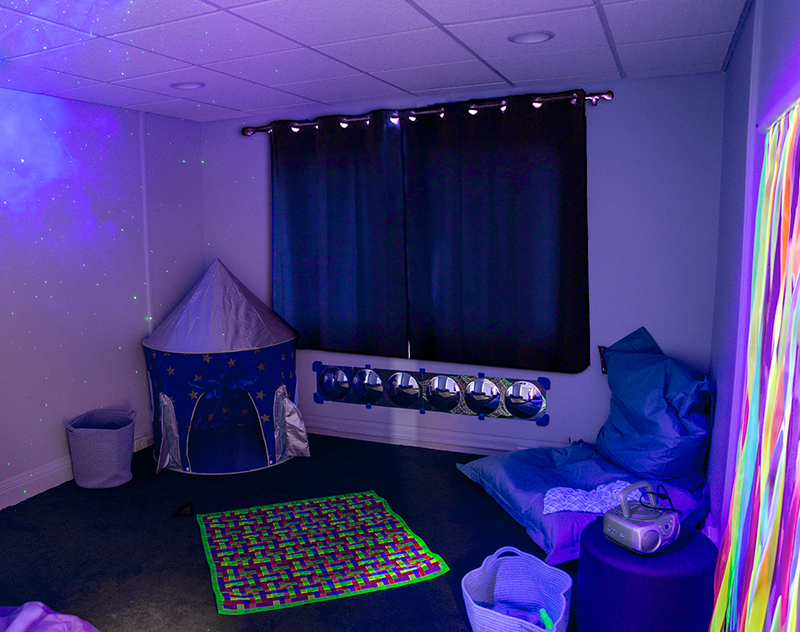 Special accommodations are made to meet participants’ needs including softer lighting, quieter music, a sensory lounge (for overstimulation breaks), distinct dietary options, visual supports, and typical peer models. Parents/caregivers accompany students to the dance and remain on the premises throughout the duration of the dance. A dance committee, comprised of Monarch students, staff and parents, plans the event. It is modeled after a typical prom-like experience, which many of our families never thought possible for their children. Since 2014, Monarch Center for Autism has partnered with ETON Chagrin Boulevard to launch the annual Snowflake Giving Garden project. 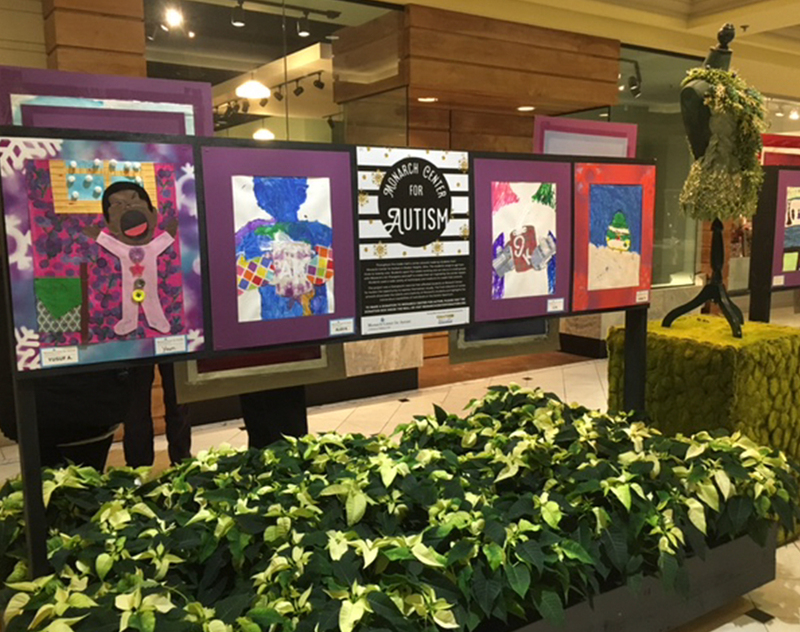 Throughout the holiday seasons, artwork made by students from Monarch hangs inside the mall. In preparation, Monarch students spend five weeks working one-on-one or in small groups with Monarch’s Art Therapists and staff to create art inspired by the winter season. 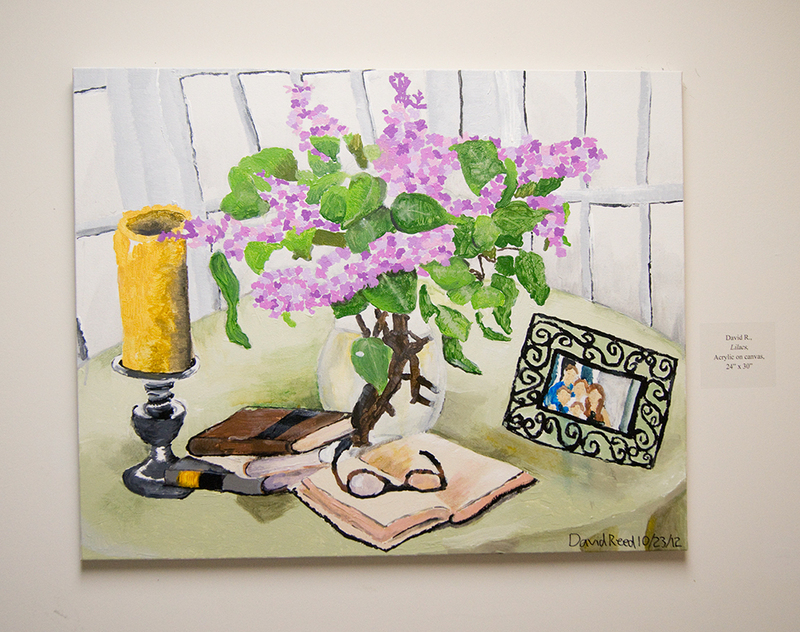 Students use a wide variety of techniques and mediums to create their artwork. The project is a therapeutic exercise that affords Monarch students the opportunity to express themselves visually. The final collection of artwork showcases the talents and creativity of Monarch’s students and highlights the tremendous capabilities of individuals on the Autism Spectrum. Since 2015, Monarch School has been selected to participate in a 4-week artist-in-residency theater program entitled “Kids Love Musicals!” run by a Cleveland-based arts education non-profit called The Musical Theater Project (TMTP). The program’s curriculum and structure were specially adapted for students with Autism. Each year, teaching artists from TMTP came to Monarch twice a week to work in 30-minute increments with small groups of students and staff. They presented selected scenes and songs from a musical (i.e., The Wizard of Oz, The Jungle Book) and involved class members in improvisation, performance and discussion of scenes and songs. The residency afforded students opportunities to explore musical theater (song, movement, acting) while focusing on community, teamwork, self-awareness, self-confidence and problem-solving. In 2013, Monarch Center for Autism partnered with The Artists Archives of the Western Reserve to co-launch an art exhibit entitled “Art Interprets Autism.” It featured interpretations and/or collaborations of artwork created by 18 Archived Artists and 18 Monarch School students, in a variety of medium. The show ran for a month at a gallery in Cleveland, and was accompanied by a speakers’ symposium on topics related to autism and art. Throughout the 2016-2017 school year, Monarch Center for Autism hosted a van fundraiser. 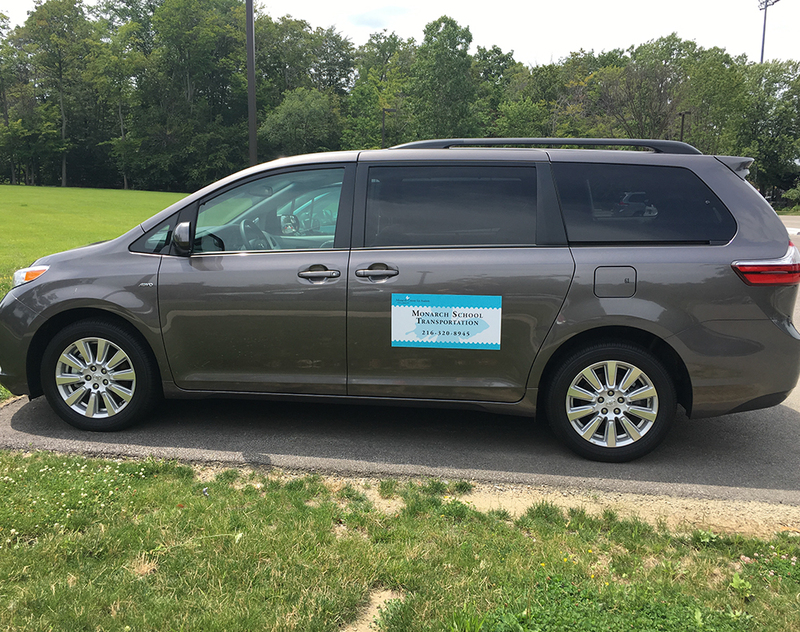 Thanks to 96 donors throughout the community, Monarch raised more than $32,500 with which we purchased a brand NEW Toyota Sienna van! Monarch students and staff now enjoy longer and more frequent outings into the community in our very own vehicle. In 2011, Monarch Center for Autism initiated a relationship at Akron-Canton Airport with the Transportation Security Administration (TSA) and Continental Airlines (now United Airlines) to educate security and airline personnel about Autism Spectrum Disorder. The goal was to train airport personnel to understand the social and communication deficits frequently demonstrated by individuals with Autism Spectrum Disorders, so they could more effectively promote positive travel experiences for these individuals. In 2012, Monarch staff returned to Akron-Canton Airport to train additional TSA officials about autism. This training included the implementation of visual supports at the security checkpoints to facilitate travel. 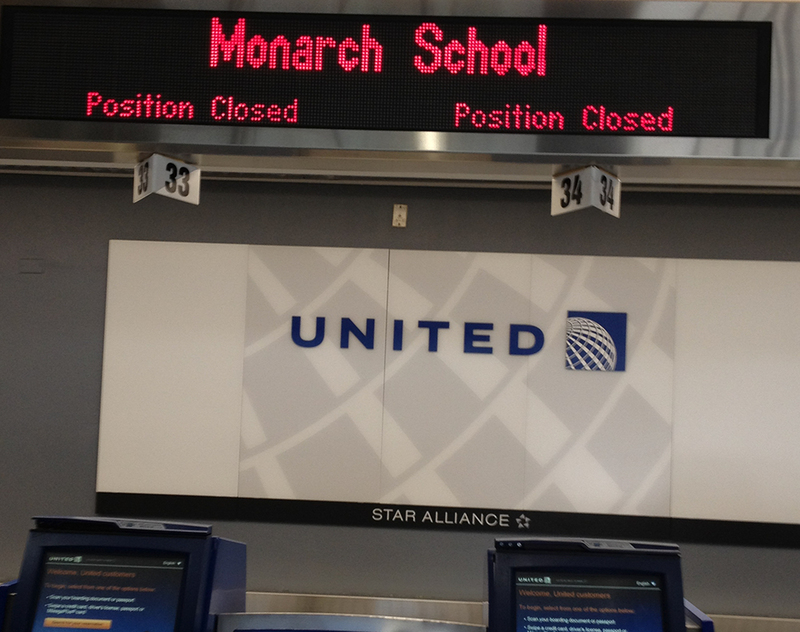 In June 2012, twelve Monarch School students visited Cleveland Hopkins airport and engaged in a simulated United Airlines trip, which afforded airport personnel hands-on-training.